Neuro Linguistic Programming is about having the life you desire. Actively setting and achieving goals is a vital part of attaining what we want in life. The Five Functions Success Model is a great basis for this to occur. 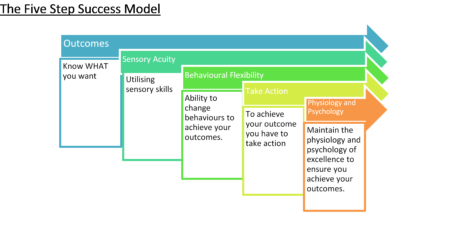 As an NLP Practitioner the Five Functions Success Model will more than likely become a natural part of your life.